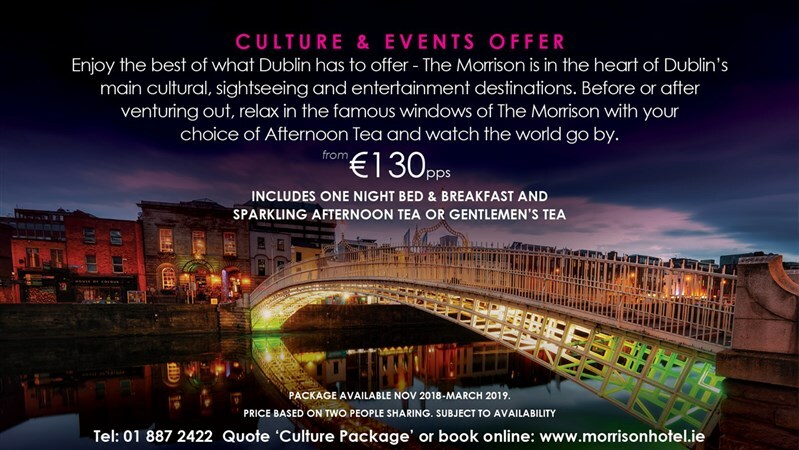 Enjoy the best of What Dublin has to offer - The Morrison is in the heart of Dublin's main cultural, sightseeing and entertainment destinations. Before or after venturing out, relax in the famous windows of The Morrison with your choice of Afternoon Tea and watch the world go by. Packages from €130 per person sharing per night, available from November 2018 - March 2019. Package is subject to availability and terms and conditions apply. Please call reservations on 01 887 2422 to book.